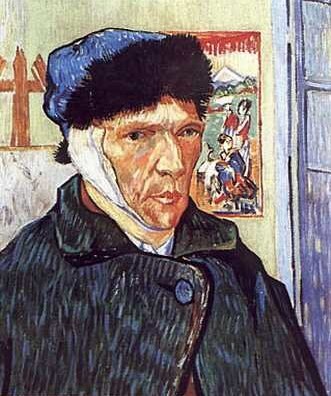 Ahhh, Van Gogh. Je lui adore! Excellent idea to take your daughter for a day of art; this lesson lasts far longer than any stale lecture. 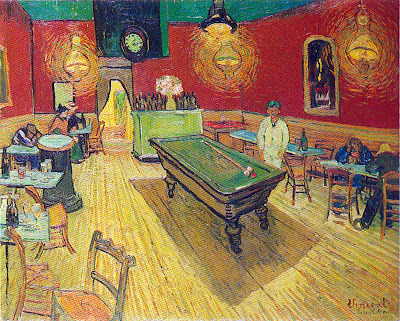 Van Gogh has always been a draw for me. The Northern Baroques and French Rococo are my fave periods, but Vincent stands alone. I've been fortunate enough to view his work at The Getty, The Chrysler, The Norton Simon, The Rijksmuseum and the Louvre, amongst other, smaller exhibits. Your daughter is correct about the Tim Burton vibe; perhaps that's why I've always been drawn to both men. Apropos, my father is a clinical psychologist and I've had the privilege of visiting countless museums with him and Mom. I recall distinctly viewing Van Gogh's Mulberry Tree at the Norton Simon. He said the branches and the violent brush strokes were so wild and emotional, that one could tell this was painted in his tortuous last year, whilst in hospital. Happily, I believe I've escaped the tortured artist model. Can art come out of dorky, Disney happiness? I'll say! I have yet to see an original Van Gogh, but I'll be in France next summer and I'm on a mission to spend some time with Vincent en Provence! To me, the "mad" brushstrokes are outweighed by the vibrant colors so that when I see Vincent's art, I feel happy, not melancholy. Yes, I think art can come out of dorky, Disney happiness! One must, above all else, be true to self. How wonderful that we live in an age of the greatest artistic freedom (at least in some places), that has ever existed. The "academy" model is dying. True artistic freedom is in sight. So I say if you are called to create, then you must. You must create and express the truth within, whether it comes out dark and stormy, hot and steamy, or slap stick funny. Thanks for the reminder...I live in Phoenix but had completely forgotten about the Science Center exhibit. 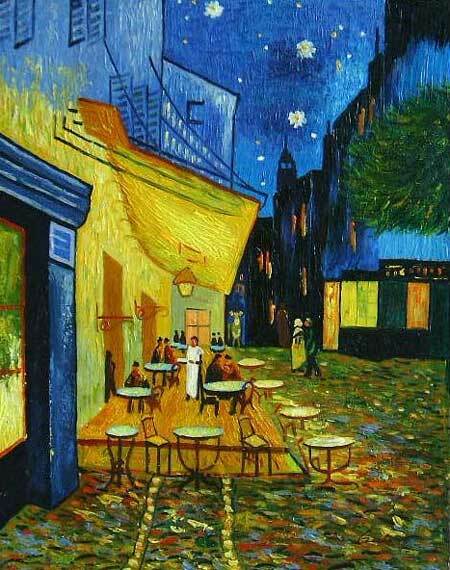 Over time, Van Gogh has become one of my favorite painters. I read "Van Gogh: The Life" recently and learning more about him really brought his work even more to life! !